Greybeard Realty announces the addition of Christy McFadden as their newest broker. While she will be based in the Black Mountain office, she also will serve the Old Fort and Asheville offices on occasion. Quite often, people talk about just landing in western NC and never leaving again. While the same can be true for Christy, she first explored 49 states and Mexico before finally settling down in the Asheville area, first as a student at Warren Wilson College and then with her family for the next 20 years. 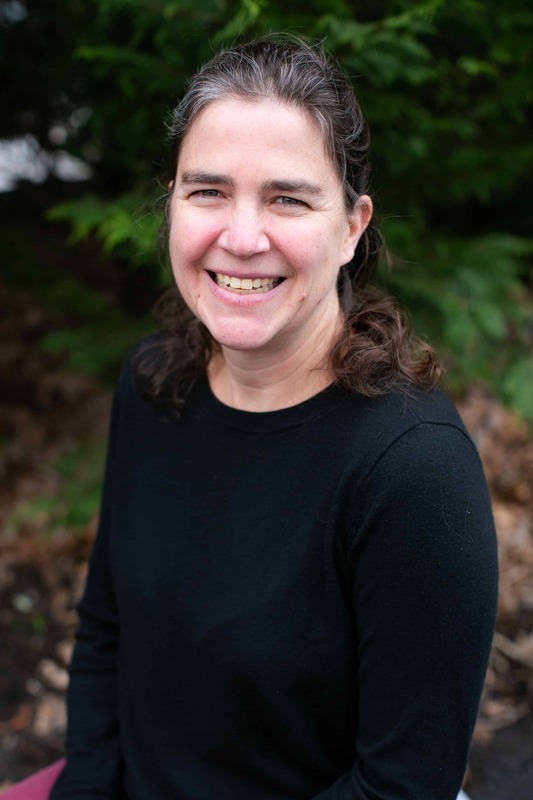 After the birth of her children, she became interested in early childhood development and worked as a NC infant/toddler and family specialist which took her to many communities in Buncombe, Henderson, and Madison counties. Her exposure to the various communities have provided her with an ample knowledge of the specific character and charm of the different towns within the region. In addition to her extensive knowledge in real estate, Christy has a passionate interest in being active. She, her husband, her two children and three dogs can be found doing a variety of outdoor activities including hiking, running, mountain biking, snowboarding, and paddling through the trails, rivers and lakes that make western NC so beautiful. Christy joins the other 23 Greybeard Realtors who work at Greybeard Realty and Rentals, which celebrates its 20th anniversary this year. In addition to its original Black Mountain office, located at 204 East State Street, Greybeard Realty has additional offices in Asheville and Old Fort. Whether you are interested in buying a western NC property or placing your local home on the real estate market, a local Realtor can make that process easier. Please check out Greybeard Realty's exclusive property listings. For more information, please contact Greybeard Realty at 828 669-1072 or on line through our contact Greybeard link. 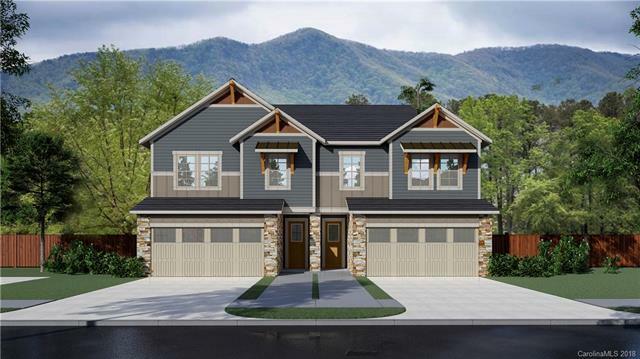 If you’ve been searching for a new construction Black Mountain home with mountain views, you need to come up and see Sweet Birch Commons. With limited home maintenance and a strong sense of community and security, this mountainside community offers easy access and minimum upkeep of each home. If you yearn for a neighborhood experience in a mountain community, Sweet Birch Commons can be your home. Sweet Birch Commons features two models of duplex homes, both semi-customizable. The Magnolia Plan, with 2,074 sq ft, has a first-floor master suite. The Sawyer Plan, at 1,894 sq ft, has its master suite on the second floor. Both options provide owners with easy, flat access to the duplex-designed home. Buyers have opportunities to personalize their home with options for upgraded cabinetry, flooring, interior trim, lighting, and appliances. Careful attention was been taken during the community design to ensure that the neighborhood feel is preserved. Community members and their guests can gather at the community pavilion which utilizes an original grain silo, enhanced with reclaimed barn wood. In addition, there’s a stone terrace, a game lawn and a fire pit. And with its proximity to Black Mountain, Sweet Birch Commons provides easy access to the charming town’s amenities. Recently selected by TripAdvisor as America’s Prettiest Small Towns, Black Mountain has a broad variety of dining spots, shopping opportunities, and art and crafts offerings. With the groundbreaking completed and the first units under construction, Sweet Birch Commons is beginning to take form. 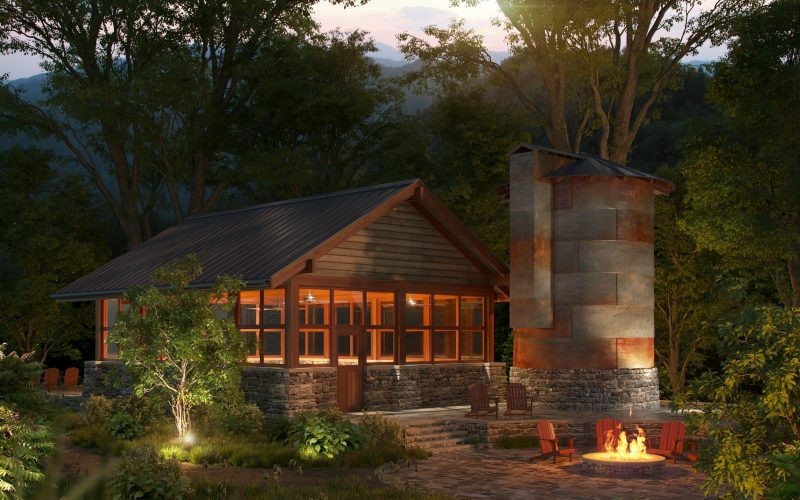 To experience the location, the sense of neighborhood, and the quality of construction, prospective buyers should head on up to Black Mountain to see it firsthand. Greybeard Realty, a home-grown Black Mountain real estate company, is the exclusive listing company. For more information or to make an appointment to check out this growing neighborhood community, please contact Greybeard Realty.